This is an example of a cartoon that uses the combined power of humour and visual imagery to attempt to change behaviour. 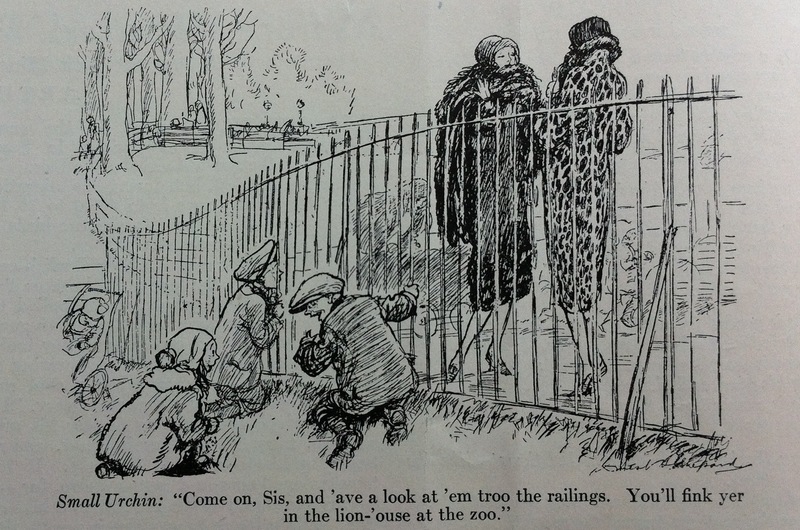 This cartoon was published in the October 1925 issue of Our Dumb Animals and depicts children peering through a fence at two “fashionable” women dressed in furs. The one young boy urges his sister to join them in the fun, suggesting that if she looks from the right angle she could imagine she was at the zoo, peering at animals in their enclosures. This response, no doubt, would be very different from what these women were hoping to get when they got dressed to go out.